This All Natural Protein Bar recipe makes for a nutritionally dense snack that packs a punch when it comes to fighting off cravings or a growling belly. These are high in protein, thanks to the quinoa, the almond or peanut butter, flax, and sunflower seeds – the best part is that each are all natural protein sources. There’s no need for any crazy powders or supplements when you snack on one of these before or after a workout. Spread the oatmeal out on a cookie sheet in a thin layer. Toast in the oven at 350º for 15 minutes. While you’re waiting for the oats turn a toasty brown, ground your raw quinoa and flax seeds. Grinding the flax seeds will help your body digest them so that you get the most nutritional benefit. Both of them will yield a significantly larger amount ground than they did whole; choose a large mixing bowl and add in both of these items, as well as the cinnamon, salt, and seeds. Once the oats are ready, you will add them in with the rest of the dry ingredients & mix well. In a saucepan, use low-medium heat to melt the peanut (or almond) butter and honey together until they have a nice smooth consistency. Add in the vanilla stir again. Take the honey-nut butter sauce and pour it into the mixing bowl of dry ingredients and start mixing them together. The consistency is going to be very thick & you may feel as though you are just pressing it all together; that’s normal, just make sure that you are mixing it all well. If you need to, wet your hands slightly and use them to make sure that the ingredients are completely melded together. Line a pan with aluminum foil or parchment paper – use a smaller pan (8x8) for thicker, more stout Quinoa Protein Bars and a larger pan (9x12) for a thinner snack. Press the mix into the pan, using your fingers to apply pressure so that the surface is moderately even. Melt the dark chocolate using low-medium heat, watching carefully and stirring often (it happens quick!). Use a spatula to spread a thin layer of the melted chocolate onto your quinoa and seed bars. Refrigerate for 20-30 minutes and your healthy snack bar is ready to eat. 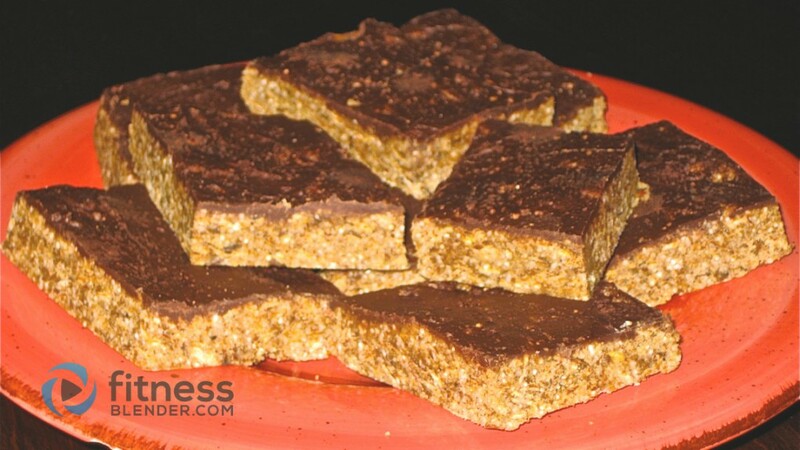 There are lots of tasty variations that you can make on this fiber and protein filled all natural energy bar. For example, you could bump up the cinnamon content or choose another spice that you like to flavor the snack. You could also substitute your favorite nut butter for either or the ones recommended above. Another easy modification would be to add different kinds of seeds and grains. You can also skip the dark chocolate topping (crazy talk, right?) in order to shave off some extra calories. The perfect program for someone who loves adventure! With 4 planned workout days each week, this program allows room for hiking, swimming, biking, running - any other activities you love. 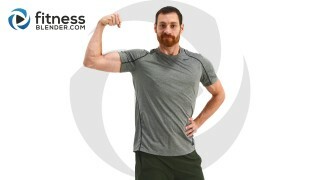 This unusual training style hits your upper body and your core at the same time. A physical therapist & personal trainers weigh in on the risks and benefits of a running habit, with a focus on avoiding injury and implementing moderation.